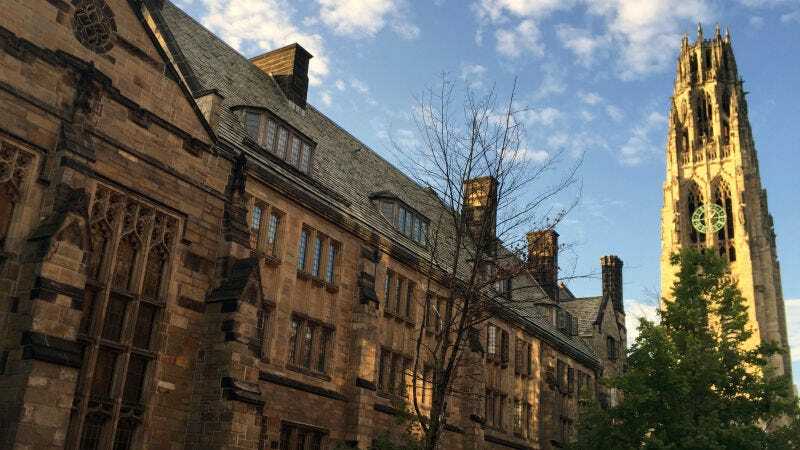 University of Connecticut dental school grad students and an orthodontics professor took a selfie “with two severed heads used for medical research at a training workshop at Yale University” in 2017, the Associated Press reported on Monday. The Associated Press obtained a copy of the photo from a person who received it through a private group chat. That person, who demanded anonymity because of potential harm to their career, said the person who took the selfie would not give the AP permission to publish it for fear of being expelled. In the photo, [UConn Health orthodontics program director Dr. Flavio Uribe] and several graduate students are looking at the camera, while others continue to work. All are wearing surgical masks. The two severed heads are on tables, face up. Training with actual dead bodies is a critical part of medical training, as well as a somewhat morbid rite of passage at medical schools. This kind of story pops up every so often and usually comes with consequences for the personnel involved, including an alleged wave of corpse photos and videos from medical institutions making their way online in 2010, something that’s never really stopped happening. Today the trend is (slowly) moving towards expensive synthetic cadavers like the $95,000 SynDaver Patient, which can be remote controlled to rehearse crisis scenarios like heart attacks and boasts fake organs, muscle tissue, and blood. Advancements over the past few years have made it possible to convincingly imitate many different types of human tissue, per Smithsonian, from “subcutaneous fat to rectus femoris muscle.” Taking a selfie with one of those is probably not going to get anyone in trouble with an ethics board, though some medical professionals think they’re a long way away from replacing hands-on experience with actual cadavers. Correction: This article’s previous headline stated that “Yale dental students, staff” appeared in the photo, as the AP originally reported. This was incorrect. The graduate students in the photo attend the University of Connecticut, where Dr. Uribe is the director of the orthodontics program. We regret the error.